Guilford County (Greensboro) has seen a surge of new democratic voters with phones ringing off the hooks. "New registrations been overwhelmingly Democratic, which Collicutt said is the result of registration drives." We’re not seeing as many Republican groups dedicated to registering new voters this time,” Collicutt said. “The Democratic Party and the Obama campaign have been doing a lot of drives." Obama is going to win North Carolina. We are already seeing a surge of new voters in North Carolina's three largest cities (Charlotte, Raleigh, Greensboro). But this surge is also happening in the rural areas of the state. Last edited by gsoboi; 10-10-2008 at 09:05 AM.. In a State that houses the Number 2 financial capital NC is paying attention. Senator McCain inspires little confidence in his ability to handle the current crisis. The DOW dipping another 800 this morning will not be welcome news to anyone. Shhh. We're just redneck hicks. We don't know nothing about no financials. I didn't know they were re-making Michael Jackson's "Thriller" down there. 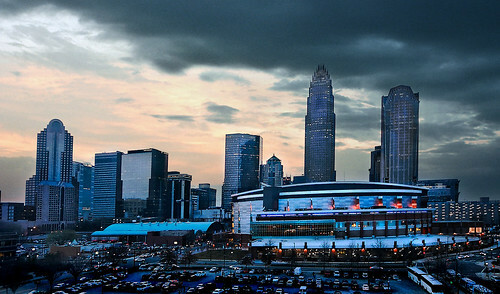 Charlotte, NC is America's second largest financial center after New York. The city just lost Wachovia and I know they dont want to lost bank of America because that would be just devistating to Charlotte's economy. The city has surged to big city status very rapidly due too banking and financial industries. People have flocked to Charlotte for jobs and the city's population has swelled to well over 600,000 people. 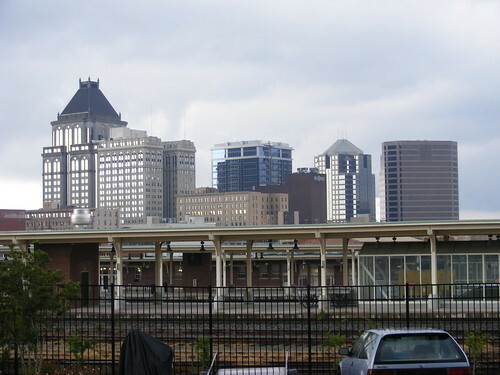 (Atlanta has about 450,000 people) The city recently opened a light-rail system and there are many downtown high-rise condos under construction or on the drawing board. Donald Trump is even planning to build a tower complex in uptown Charlotte that would include a 74-story condo tower, 5-star hotel tower and a 44-story office tower. But wall street and the housing crisis could put alot of Charlotte's plans on hold. I hate it that Charlotte loss Wachovia. There were plans a few years back for a new 80-story Wachovia headqaurters in uptown Charlotte. I guess that plan will remain on paper. 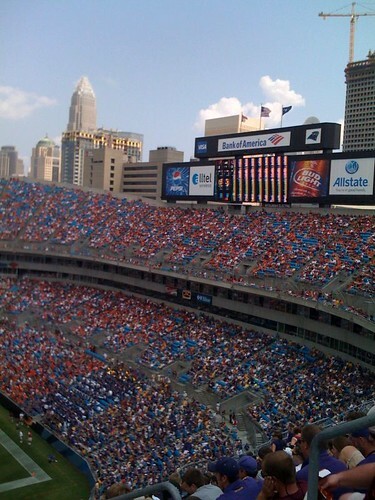 If Charlotte wants to become an even larger bustling metropolis, they need to support Obama. Its important for Charlotte's and North Carolina's ecnonomy. Charlotte skyline filled with bank towers and highrise condos. If the finiancial industry falls, many of these bank towers could become nearly empty if there is alot of job loss. But its cities like Charlotte, Raleigh and Greensboro that are attracting the "northern transplants" who are mainly democrats. Thats another reason why the polls are so close in North Carolina. Last edited by gsoboi; 10-10-2008 at 09:39 AM.. I'm proud of you gsoboi. A post in which you didn't interject Race.....no wait, I reread the first one. You did toss out the RACE card again I see. Oh well maybe there is still hope for you! I guess ACORN has probably been pretty active down there huh? Registration drives? By who?